Rockford, Ill.- The Rockford IceHogs and Saturn of Rockford are giving fans at Saturday’s 10th Annual Jersey Auction a chance to win a 2009 Saturn Sky. Additionally, IceHogs President Mark Bernard has released further details about the Stanley Cup’s visit to the Rockford MetroCentre. 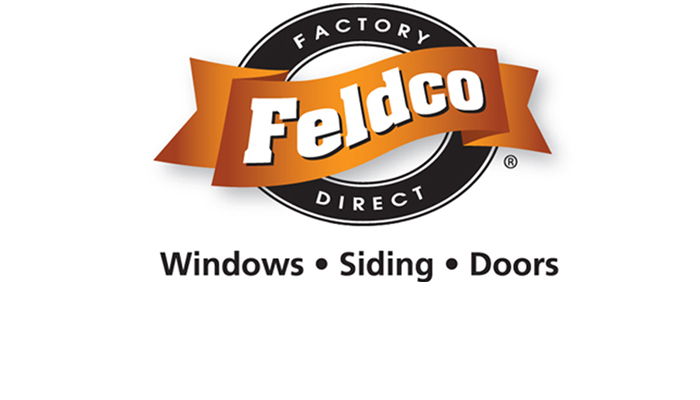 Rockford, Ill.- Forwards Pascal Pelletier and Adam Hobson have given the Rockford IceHogs a big 2-0 lead at the Rockford MetroCentre on Sunday. The Hogs lead by two in the third period. San Antonio, Tex.- After a long day of travel it was suppose to be the San Antonio Rampage who looked tired on Saturday night. That wasn’t the case as the Rockford IceHogs labored through the first two periods and eventually dropped a 3-2 decision at the AT&T Center. When: Sat., March 28 from 2:00 to 4:00 P.M.
Jake Klimcak Named Chicagoland Culver's "Kid of the Game"
Rockford, Ill.- The Rockford IceHogs found themselves down three times against the Iowa Chops on Wednesday at the Rockford MetroCentre. But their third comeback fell short, as the Chops beat Rockford 5-4. 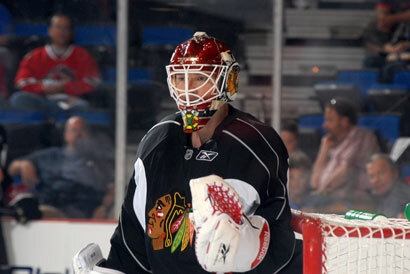 The Chicago Blackhawks have reassigned defenseman Jordan Hendry to the American Hockey League’s Rockford IceHogs. It’s tough to say who was happier to have Patrick Sharp back on the ice: his teammates or the man himself. Des Moines, Iowa- The score sheet says a game lasts 60 minutes. It was the first 13:40 on Friday night though that cost the Rockford IceHogs two points as they fell 3-2 to Iowa Chops at the Wells Fargo Arena. 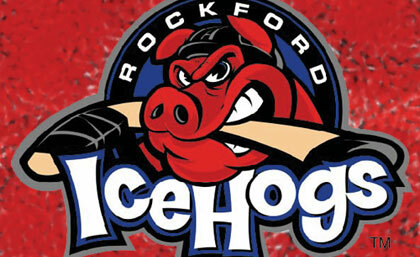 Rockford, Ill.- Rockford IceHogs Team President Mark Bernard announced Friday that the American Hockey League club will be hosting the Stanley Cup during the Saturday, April 4 game against the Milwaukee Admirals. Jared Gidley Named Chicagoland Culver's "Kid of the Game"
Rockford, Ill.- Rockford IceHogs Team President Mark Bernard re-announced on Thursday that the American Hockey League club has “re-retired” the special $4 tickets for their Monday, March 23 game against the Milwaukee Admirals at 7:05 p.m. The Chicago Blackhawks have activated center Samuel Pahlsson (PAWL-suhn) from Injured Reserve. In addition, the Blackhawks have reassigned left wing Pascal Pelletier (pas-KAL PEHL-tyay) to the American Hockey League’s Rockford IceHogs.
. . . The Nashville Predators are holding a wine tasting for an upcoming game. That’s the joke. What’s more, they list that they’re going to have “Spirits Tasting” and “Anheuser-Busch Products”. Hmmm, it’s Nashville. . . I wonder what’s going to be drunk the most at this pantywaist shindig. And it’s “only” $150 per person for this. . .
Two periods, two very different teams. Marc Turenne Named Chicagoland Culver's "Kid of the Game"
The Chicago Blackhawks have announced that Marc Turenne from Glenview, Illinois has been named Chicagoland Culver’s Restaurants “Kid of the Game” this Sunday when the team takes on the New York Islanders at the United Center at 2:00 P.M.
NAPLES, Fla. –There is no ground swell to eliminate fighting in the NHL at this time. That much was easy to deduce after just one day at the 2009 NHL General Managers Meetings. When: Monday, March 16 from 3:00 to 10:00 P.M.
After falling just short against one of the league’s best teams on the road Saturday, the Blackhawks had an uncharacteristically rough game Sunday afternoon, falling to the Colorado Avalanche at home 5-1. PEORIA — Goaltender Chris Holt got off to a shaky start, but he and his Peoria Rivermen teammates came shining through for a big finish Saturday against the Rockford IceHogs. Peoria, Ill.- Regulation losses are few and far between for the Rockford IceHogs at Carver Arena against the Peoria Rivermen. Shootout losses are a different story. Rockford, Ill.- The Quad City Flames cruised to a 4-1 win over the Rockford IceHogs in their final match-up of the 2008-09 season at the Rockford MetroCentre on Friday in front of 5,119 fans. Christopher Patrick Named Chicagoland Culver's "Kid of the Game"
The Chicago Blackhawks have announced that Christopher Patrick from Woodridge, Illinois has been named Chicagoland Culver’s Restaurants “Kid of the Game” this Sunday when the team takes on the Colorado Avalanche at the United Center at 2:00 P.M.
Chicago, Ill.- Chicago Blackhawks General Manager Dale Tallon announced on Wednesday that the National Hockey League club has loaned defenseman Logan Stephenson to the Rockford IceHogs of the American Hockey League. Chicago, Ill.-The Chicago Blackhawks have acquired center Samuel Pahlsson (PAWL-suhn), defenseman Logan Stephenson (STEE-vehn-suhn) and a conditional draft pick in exchange for defenseman James Wisniewski and center Petri Kontiola (PEH-tree, KAWN-tee-oh-la). Rockford, Ill.- The Rockford IceHogs are giving away 10,000 hot dogs on Wednesday, March 11 as a part of the team’s 10th Anniversary celebration this season. Antti Niemi had a long-distance phone call to make and a puck to ship home. He planned to call his parents in Finland, with plans also of sending them the puck that teammate Andrew Ladd retrieved for him after the 25-year-old goalie earned his first National Hockey League victory.